Today is Groundhog Day, which means all around North America people will gather to pull a rodent out of a hole in the ground to predict the weather, because human beings are weird. Or at least, that’s what it used to mean. But for the last 20 years or so, most people who hear the words “Groundhog Day” instead think of the 1993 Bill Murray movie, in which a TV weatherman finds himself reliving the same day on an endless loop. The phrase has become synonymous with the frustration of repeating the same thing over and over again. NHL fans know this feeling well. After all, this is a league where we all love to complain, but actual change tends to come slowly, if at all. That means we tend to spend a lot of time going through the same debates and discussions, year after year, without anything changing. 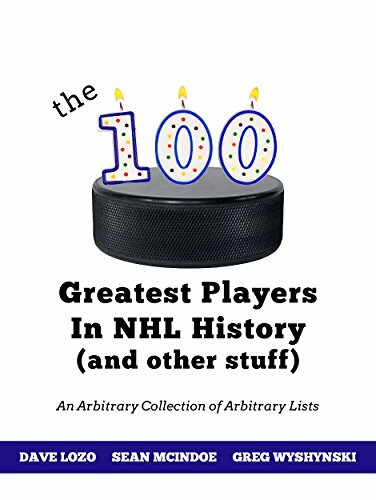 So today, let's celebrate the occasion by looking at 10 of the NHL's Groundhog Day stories, how we got stuck with them, and what (if anything) could actually break us out of the loop. Why it will never end: The Dead Puck Era has been going on for over two decades now, with one brief break immediately after the 2005 lockout (that was almost entirely due to power plays). By now, it should be clear that the NHL either doesn't want to address the issue or — more likely — has no idea how. To be clear, the league has been talking about increasing scoring all along. Lord, they never stop talking about it. I've documented the NHL's 20+ years of promising to boost offence, and the result is always the same. A minor tweak here, a little tinker there, and nothing changes. Yes, yes, this is the one idea that many fans feel is completely off the table, because... well, it just is. The league can add the shootout and change the rulebook and move the bluelines in and out every few years, but an extra inch or two around the net is an intolerable affront to the game's history. We get it. There are other ideas. The league could change how power plays work, or figure out a way to reduce shot-blocking. Some of the more radical suggestions have included some sort of rule limiting defensive formations, or even moving the entire game to 4-on-4. Or we could just have the refs call everything in the rulebook by the letter, and go back to the 2006 days of each team getting eight or nine power plays a game. Or we could just keep mumbling about the size of the goaltending equipment. Those new pants are arriving any day now, so that scoring boost should be right around the corner. Just you wait. Why it will never end: While the shootout can be fun, there's little question that much of the novelty has worn off after over a decade of seeing them decide regular-season games. Many fans are sick of them altogether. But just as many want no part of ties (and the league seems to agree), and you kind of have to have one or the other. How we could escape it: Short of bringing back ties, you can't get rid of shootouts entirely. But extending 3-on-3 overtime to 10 minutes would make shootouts far less frequent, and maybe even make the ones that did happen feel special. Would the players go for it? Maybe not, but it would be worth finding out. On repeat since: Today's rule is based on a version first introduced 1992. Why it will never end: The instigator debate is really just a continuation of the age-old argument over fighting and violence, which has been going on since the NHL's earliest days. It hits at the sport's inherent paradox, the mixture of grace and brutality that somehow manages to maintain a balance on the ice, right up until it doesn’t. 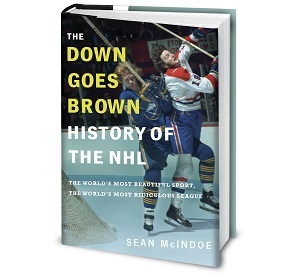 For every fan who'd love to see the bare-knuckle brawls eliminated entirely, there's another who wishes the game would go back to the days when old time hockey was the law of the land. The instigator rule has become a symbol of the league's move away from self-policing, and many fans still cling to the hope that the league will do away with it – just last week, Gary Bettman was asked about doing so at his all-star availability. For as long as the rule remains in the book, a portion of fans will blame it for any transgression that takes place. How we could escape it: Realistically, dropping the rule altogether isn't an option in today's game, no matter how much the guy in the tattered Bob Probert jersey might wish that it was. A more likely resolution is to just wait a while; with fighting on a steady decline, it may not be long before it's all but disappeared from the game entirely.